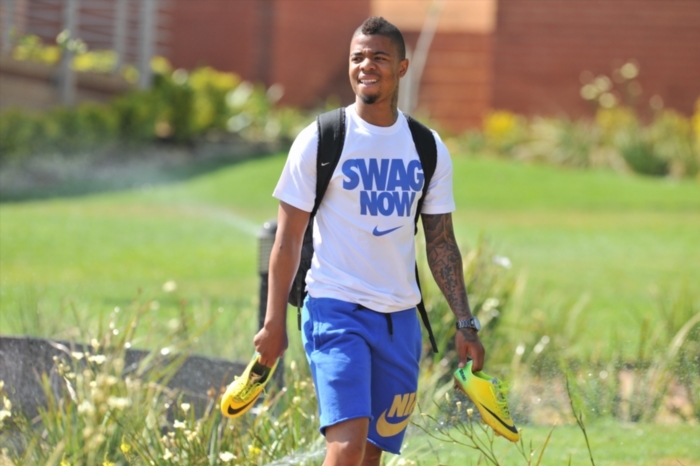 The assault case against Kaizer Chiefs midfielder George Lebese has been withdrawn by the public prosecutor, according to Eyewitness News. The 26-year-old midfielder was charged with intent to do grievous bodily harm as well as malicious damage to property after allegedly assaulting his girlfriend Sizakele Manonga in February. According to police, the soccer player hit Manonga and also damaged her vehicle by smashing its windows. He was arrested in his Silverton home in Pretoria and later released on R1 000 bail. After several postponements, his case has now being reportedly withdrawn.